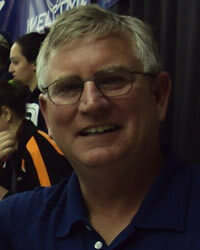 Milton Nelms is an international swimming authority. Over the past three decades he has worked as a consultant and personal coach for numerous USA and international elite swimmers and their coaches, and was on the pool deck at the 2016 Olympics in Rio working with his clients. He is a co-founder of the Swedish Center for Aquatic Research in Lund, Sweden, and a co-founder of the World Aquatic Development Conference, now the largest aquatic educational conference in Europe. Nelms has designed a nationwide program on disabling fear of water in children, which was taught to 300 teachers throughout Sweden over three years. Milt is also the co-founder of the Shane Gould Swimming Project, which researches cause of drowning, and designs drowning prevention programs, in the South Pacific. When not traveling, Milt splits time between the USA and the Island State of Tasmania, in Australia. 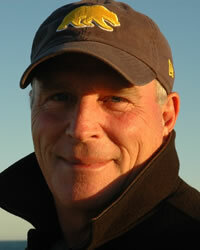 Mike Stromberg, camp director of the Best Darn Swim Camp, is in his 36th year of swim camps. Coach Stromberg is recognized nationally for his many years of coaching at the University of North Dakota in which time he was named the NCAA National Swim Coach of the Year twice. His vision is to make the Best Darn Swim Camp a great experience for all swim campers.